A Super Moon and gorgeous weather provided the perfect setting for our ghost hunting adventure at the Point Lookout Lighthouse in Scotland, Maryland. 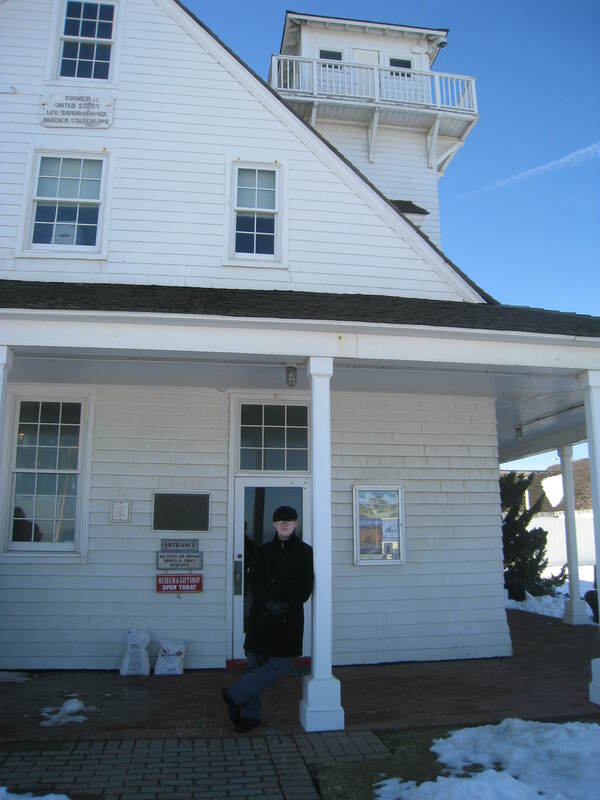 Excitement was high as we began our investigation at the most haunted lighthouse in the United States, but we were about to discover the downside to ghost hunting experienced Spirits. 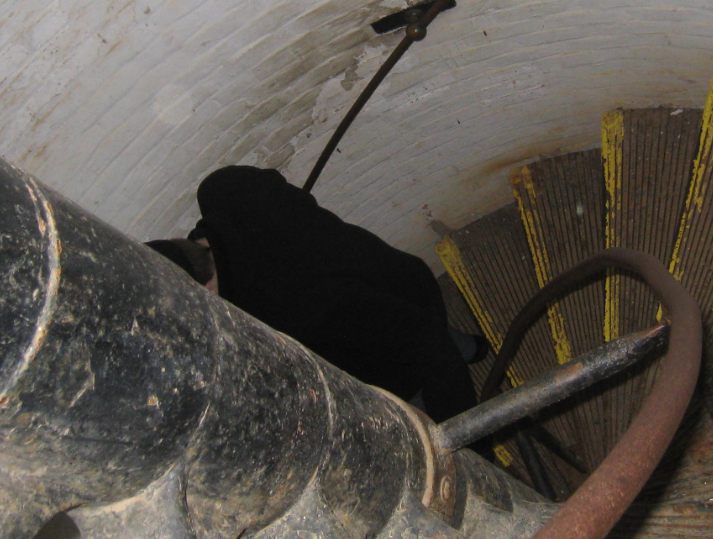 The Spirits at the Point Lookout Lighthouse get plenty of practice playing with ghost hunters. We had to book almost a year in advance for a chance to tangle with these spirited spooks! There were six in our group and one was quite nervous about searching for ghosts in a dark, creepy house in the dead of night. Unfortunately for our Nervous Nellie, the Spirits decided to focus on her! I guess they needed a bit of excitement after being bored with experienced ghost hunters. They obviously loved hearing her screams. The Spirits enjoyed a game of Cat and Mouse all night. We’d go to a room, wait, then we’d hear a noise in a different room. We’d move to that room, wait, and the noise would move to a different room. It went on like this for quite some time, until our Nervous Nellie got brave and took some pictures with her phone. That’s when the fun began. 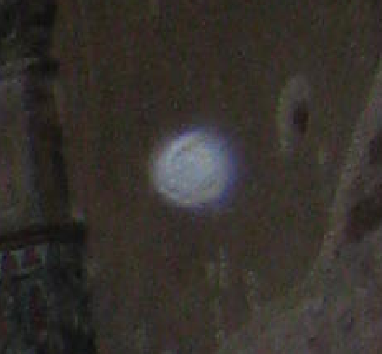 The pre-flash display on her phone – and only her phone – showed orbs shooting across her phone screen. We went from room to room chasing these playful Spirits. 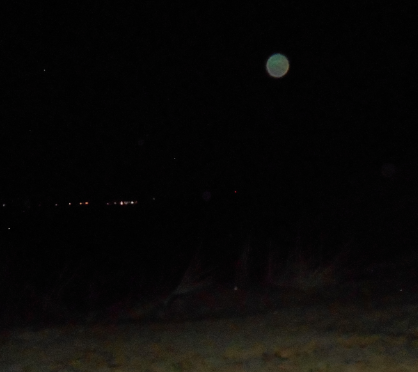 Sometimes we’d see three orbs shoot across the phone screen at once, but the elusive orbs always managed to escape being caught in the photo. 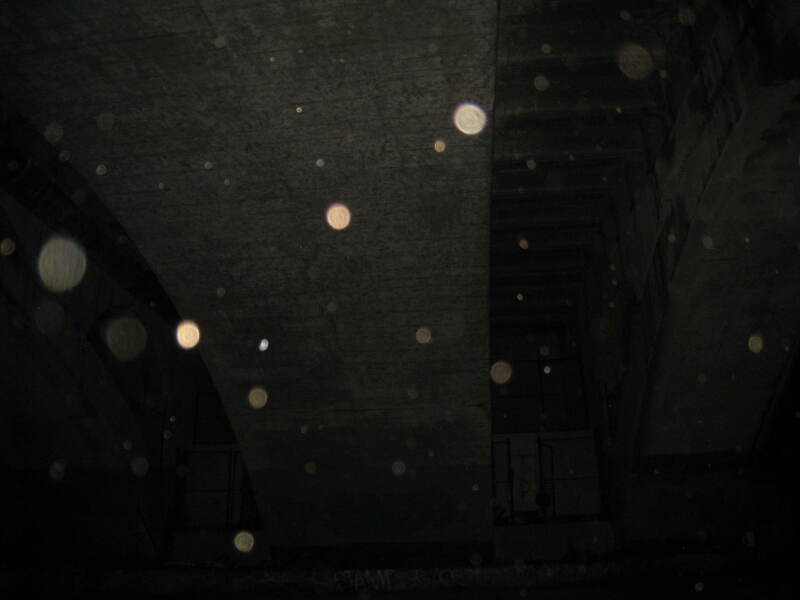 The only time she caught something was when two orbs darted up the staircase and she caught a picture of the orb light tails. 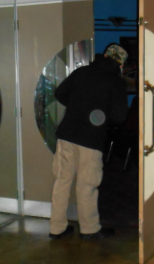 Orb tail going up the stairs. The most active room was the ladies bedroom. There were several women lighthouse keepers and we spent more time in this room due to the high level of activity throughout the night. 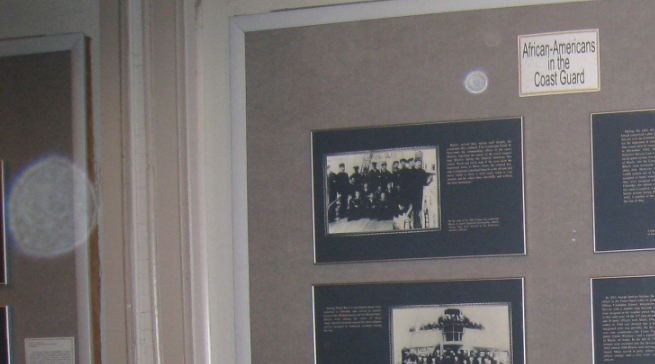 A review of the photos revealed an interesting form in the window of the ladies bedroom. This was a great adventure located on a peninsula in the picturesque setting of the Potomac River and the Chesapeake Bay. 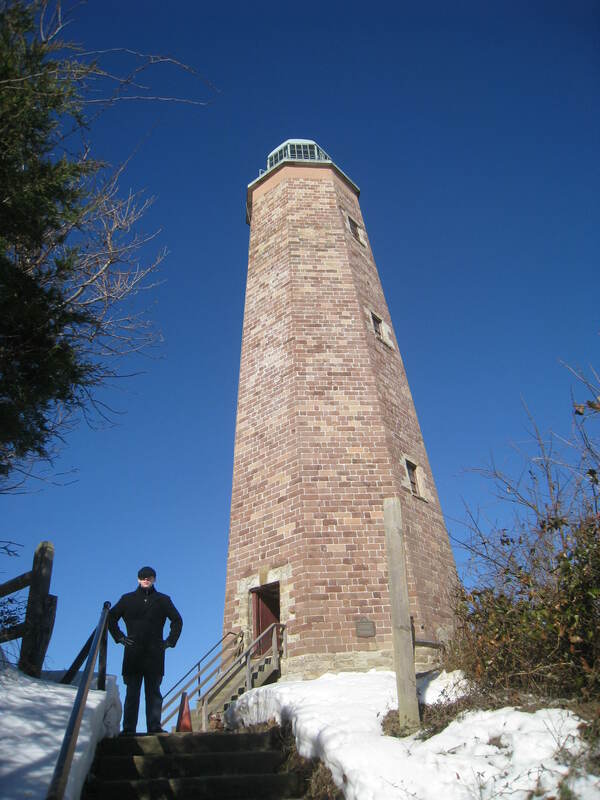 If you want a true test of your ghost hunting skills, come to the Point Lookout Lighthouse for a tough examination given by some slippery Spirits! Before I could see Hats on Souls, I’d never heard of the Red Hat Society. Unfortunately, I discovered their dark secrets. The Red Hat Society is an international organization and I’m sure there are happy members all over the world, but I wish to relate my experience in the hope that others will learn from my sad tale and do some research before jumping in as I did. After I made the discovery of seeing Hats, someone suggested that I join the Red Hat Society. It made perfect sense. After checking out their website, I anticipated a joyful experience in sharing my ability to see hats with my new friends. I mistakenly thought that a society that celebrated hats would be delighted with someone so connected to hats. The website talks up a good story and it sounds great, but it’s a perfect example of “Buyer Beware”. I didn’t catch on to the fact that if you’re under fifty years old, forget it. Qualifications should mention that a Medicare card is required. My local group meets once a month and my busy schedule finally allowed me to attend a dinner at a local restaurant. Previous meetings were held further away and after the kazoo incident, I wished I had attended a meeting at one of those less-convenient locations. One of the members was celebrating a birthday, so everyone pulled out their Birthday Kazoos. After instructions on what end to blow out of (it’s the large end by the way), a Happy Birthday Kazoo Serenade was played. We weren’t at a local pancake house or McDonald’s. We were at a nice restaurant, near my home. I prayed that my neighbors were all having dinner at home this night. When the discussion turned to trips and vacations, I mentioned my trip this year to Costa Rica. I assumed that this fun group, as advertised on the website, which also endorses fitness, would share my joy of days filled with snorkeling, horseback riding on the beach, zip lining through the jungle and my first surfboarding lesson. Instead, I was met with deafening silence and stares. I felt as though I’d just declared that I was an alien visiting from another planet. After our first and only get-together, the group leader checked out my book, Presidential Souls. Without reading the book or asking me for clarification, she called me early the next morning and informed me that I wasn’t a good fit for the group. I was told that they are a Christian group and my beliefs do not fit in. I attempted to give some explanation and I said that if she read the book she would get a better understanding of the true nature of my beliefs, but her mind was already made up. For me, I’m going back to ghost hunting. The Ellicott City ghosts I hang out with are infinitely friendlier, a lot more fun and a hell of a lot less scary! It was a weekend of Spirits, ghostly birthday reminders and fun! Skippy: a foul mouthed sailor who likes rum and coke. We picked up several of his foul expressions on the ghost box. We had to cut him off. Gene: loves cigars and was in attendance this night when we smelled his cigar smoke. Ghosts don’t have any respect for “No Smoking” signs. During an amazing interactive flashlight session, the recently deceased Joe acknowledged that he is safe on the Other Side and he has been happily reunited with his wife. 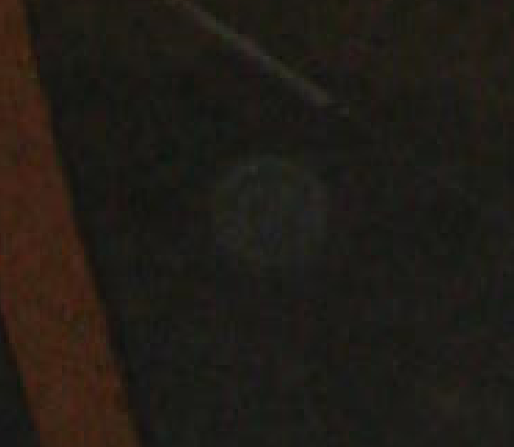 Finally, we have the Unknown Orb guarding the Memorial Corner. The names of members on Sick Call are posted and a reserved table, chair and empty boots complete the memorial for all veterans and those lost in the service to their country. I’m usually the one who remembers every birthday, but this year I’ve been so preoccupied with my book release that I forgot the anniversary of my grandmother’s 104th birthday. Never fear. She reminded me. It was the weekend and I got up early, let the dogs out and went back upstairs to do some work on the computer. A few hours later I went downstairs and the television was on. No one had been downstairs. Even the dogs didn’t have access to the room where the television was located. I turned the TV off, and went back upstairs. I came right back down, and the TV was on again. No one was around, and no one could have turned it on. It’s never done this before. My son and husband finally got up and came downstairs. I mentioned the television and my son said that last night while he and his friend played video games, the music box started playing. We haven’t played that music box in ages. 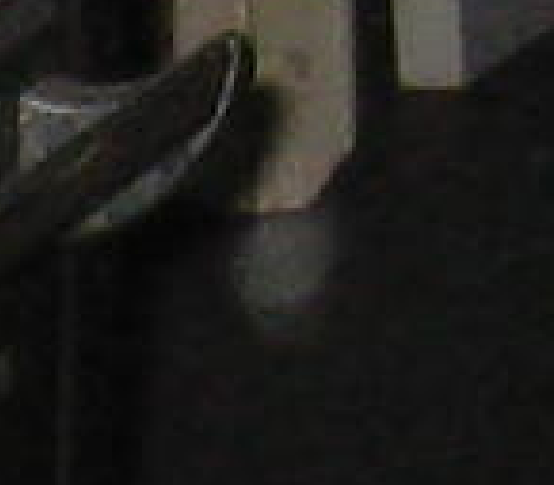 The music box is directly under the haunted television. Then my sister texted me reminding me of my grandmother’s birthday. The pieces finally fell into place. My grandmother was known for her lack of skills with electronics, but obviously she’s picked up a few pointers on the Other Side. This is the same grandmother who called my husband on his cell phone the day of our daughter’s wedding. Grandma was letting me know then that she’d be in attendance at the wedding, and she was reminding me now that it was her birthday. I toured Malbork Castle, home of the famous Teutonic Knights. 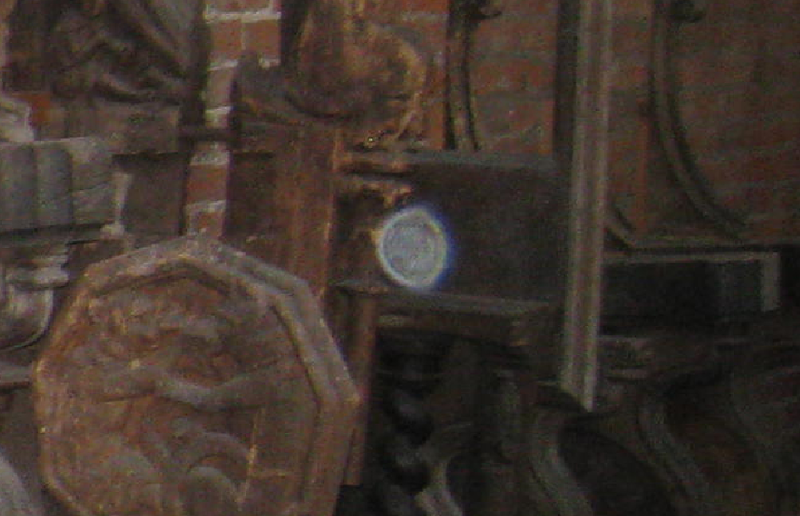 There are still Knights in residence at Malbork Castle, along with many other Castle Spirits. I had one of the strongest visions that I’ve ever had the moment I approached the first Castle gate. I felt suspended in time. The present slipped away as the people near me disappeared and I was surrounded by Knights on horseback. The Knights were returning to the Castle, entering the main gate, as I was. There were four lead Knights on horseback and I was between them with two Knights on either side of me. I felt small as I walked between them, but I never felt threatened. 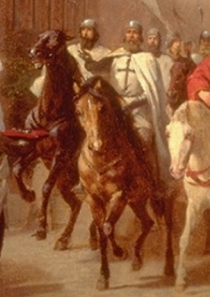 I could feel the dirt being kicked up by the horses and the Knights were so close that I could hear the rustle of their clothing and the clanking of their armor. There was a company of ancient travelers behind me. As the realization dawned on me that I had been transported to another time and I was surrounded by ancient Knights, I was in awe. I stopped walking to gather myself and as I absorbed this new reality, the vision disappeared. 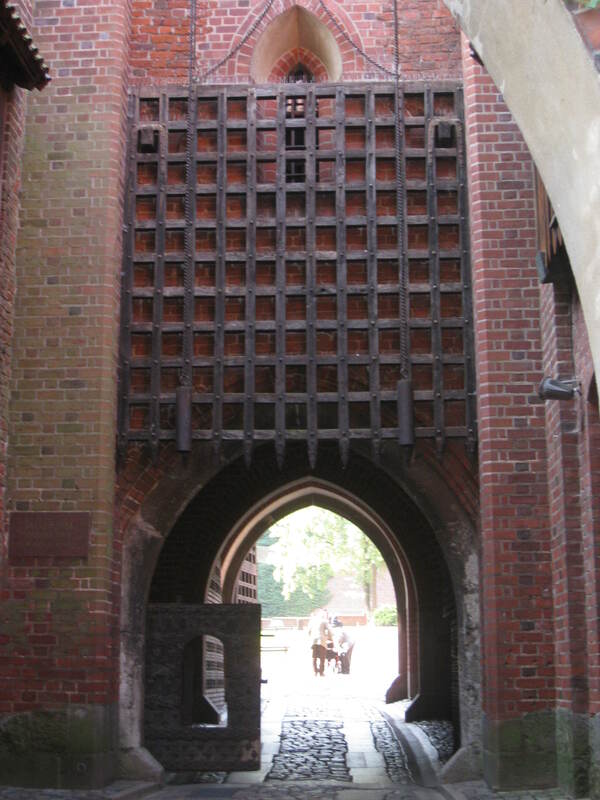 The Knights let me know, before I even entered the castle, that they were still very much in residence at Malbork. Later, I had a vision of an ancient tomb. A body was lovingly wrapped in armor and placed in the tomb. A large stone slab covered the revered Knight. There were carvings and ornamentations on top of the tomb. 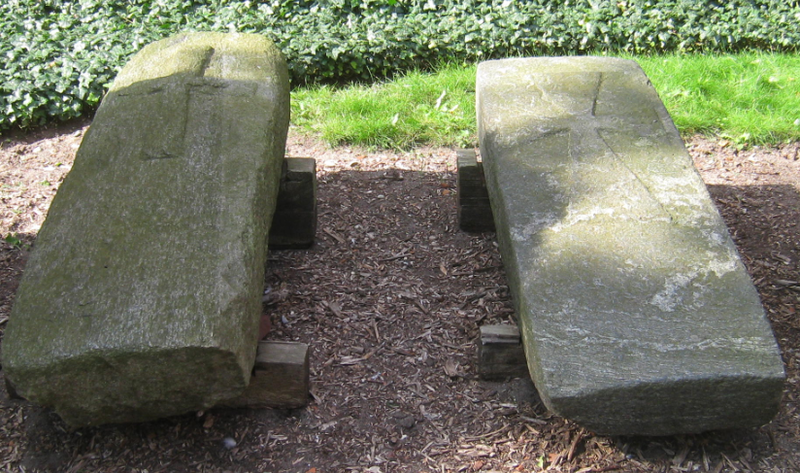 I was then shown the place where I had visited the Knights tombs on the Castle grounds. 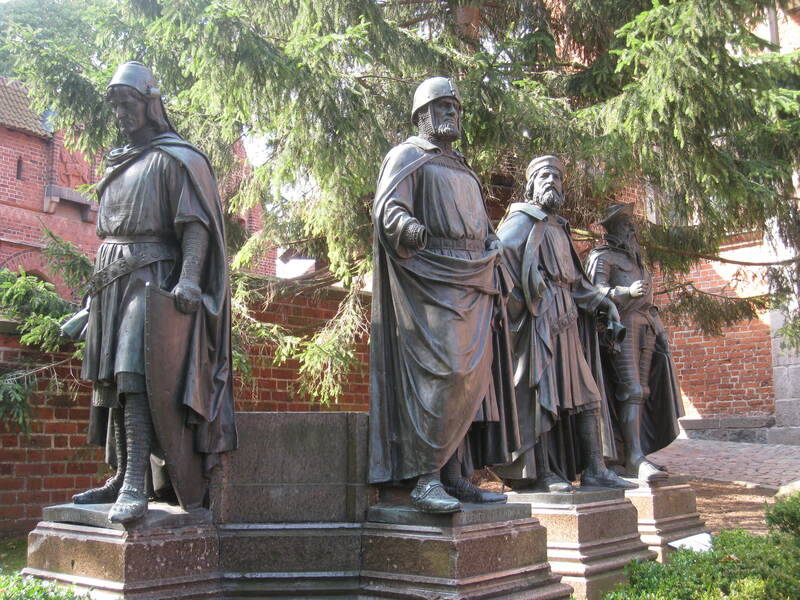 They were showing me that the Knights buried at Malbork Castle still protect their sacred home. 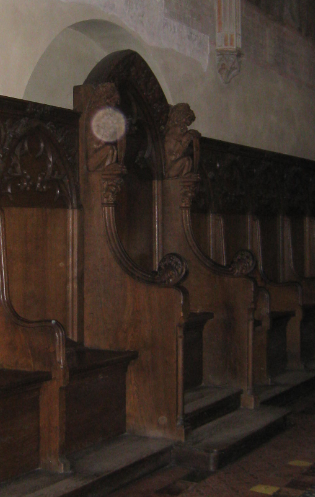 These weren’t the only visions at Malbork Castle. While touring the kitchen area, I felt a plump, angry Chef. She was still furious with her husband because of his affair with a beautiful young maid. Their doomed love story is told below. Kitchen Orb where I felt the angry Chef. 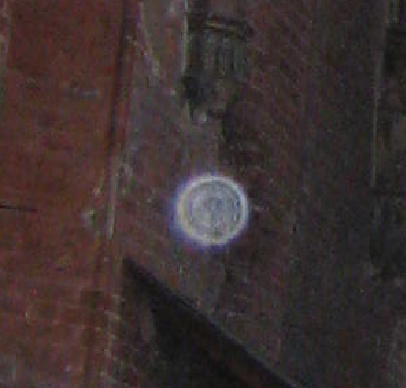 I was able to capture several interesting photos at Malbork Castle. 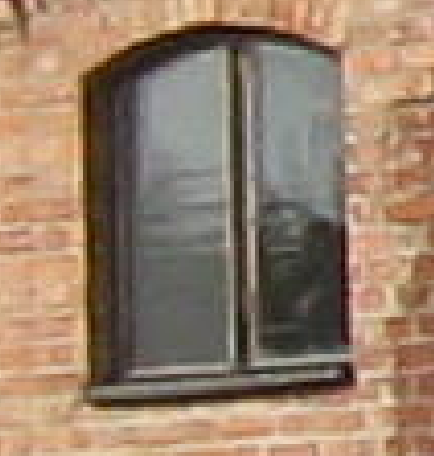 This photo appears to have a Hooded Figure peering out of the window. 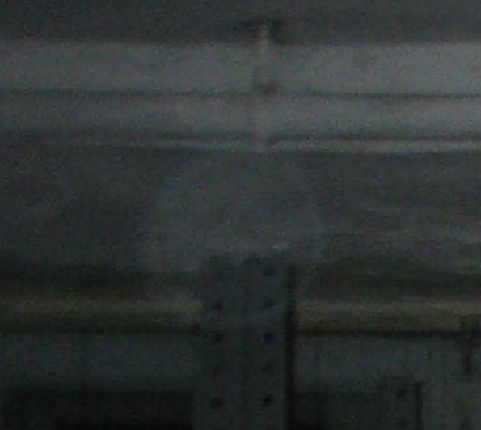 This ghostly image has a face. 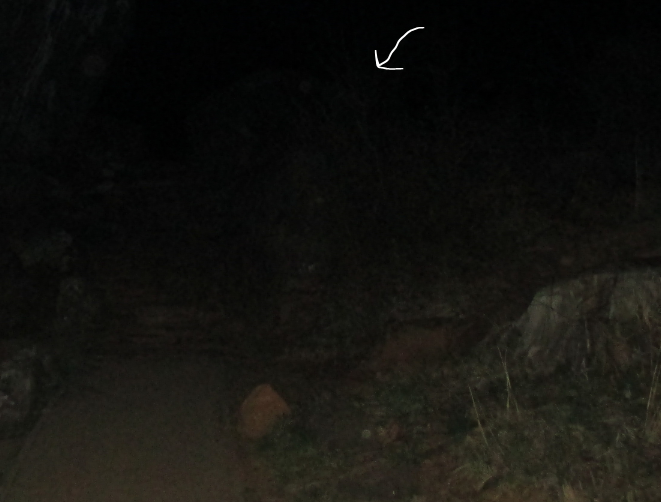 The Spirits were practically screaming at me to take a picture here and a bright Orb was in the photo. 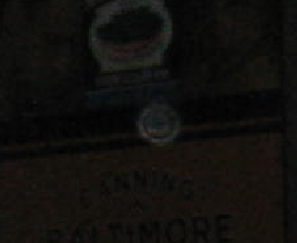 I got several bright Orbs on this mural. 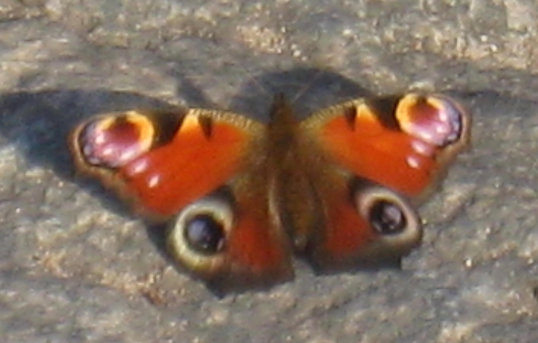 As I was preparing to leave the Castle grounds, this beautiful butterfly landed in front of me. The butterfly is a symbol of resurrection. Perhaps the Knights of Malbork were reinforcing their message to me. 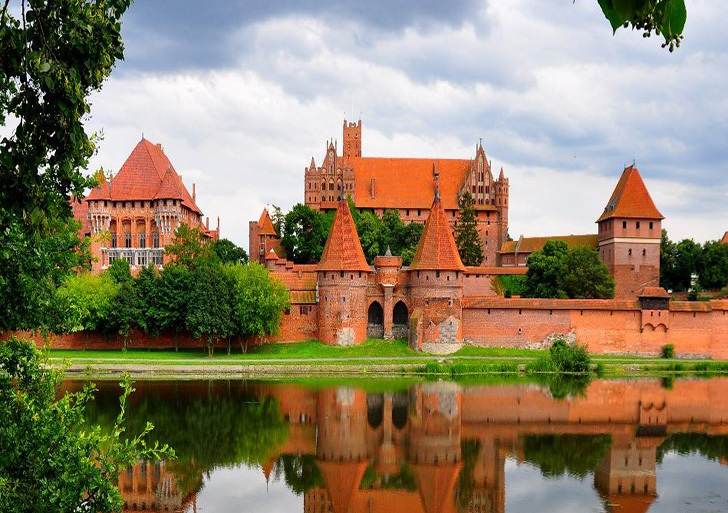 They were transformed and still reside at Malbork Castle. There is nothing different about their sad tale. The magic had gone out of the marriage. The Chef and her husband, Eddy, went through the motions of being married, but when a young maid arrived at the Castle, Eddy was awestruck, and fell in love. The maid squealed in delight as a handsome Knight pulled her onto his horse and rode with her in front of him as he returned to the Castle. She only had eyes for the Knight and he returned her favor with a silver necklace, which she proudly wore. From the fine chain hung a pendant with a small Amber heart and a silver feather. She belonged to the Knight, but Eddy grew more unhappy with each passing day and he coveted the young maid. As he worked alongside his wife in the kitchens, preparing each meal, he couldn’t hide his secret longing from his wife. The Chef began to have murderous thoughts about the dirty affair she assumed her husband was having. She pictured the young maid as warm and willing to give herself to Eddy, and jealous flames ignited thoughts of revenge. 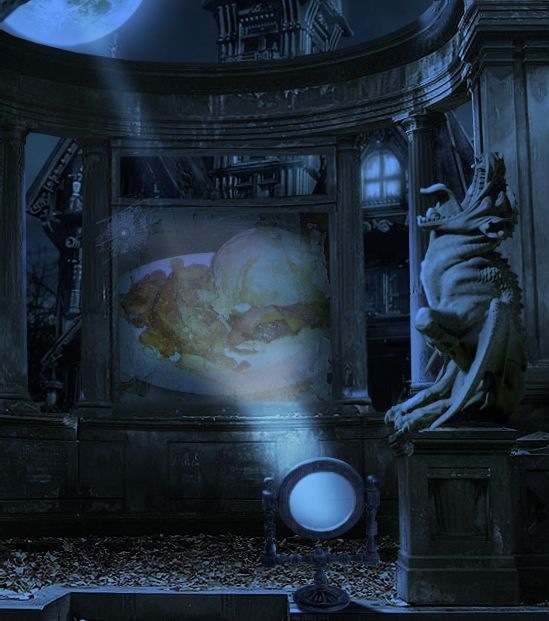 The Chef plotted a location for the demise of the lovers. She watched and waited for a chance to use her legendary skills with a carving knife. When the young maid crept into the shadows one evening to meet her Knight, she never made her rendezvous with him. The birds in the forest were the only witnesses to the crime. Eddy’s life ended soon after with the same bloody knife. Bits of the young maid’s blood mingled with his as the Chef returned to her post and resumed her baking with the murder weapon. When asked about her husband, the Chef angrily replied that he had run off with the young maid. Secretly, the Chef smiled to herself as she felt the fine silver necklace with the Amber heart and silver feather beneath her apron. I don’t know about you, but every time I have anything to do with The Exorcist, strange things begin to happen. Years ago, when I read the book, a series of terrible things started happening. I grew so frustrated that I threw the book out of the car window while I was driving! (I was pulling into a relative’s driveway). I flung it as far away from me as I possibly could. The bad things stopped happening. I never wanted to see the movie, but I was talked into seeing it. I never wanted to see that movie again. …until the bad things started happening again. Tour Guide Tony: He appears to have a Ghostly script! 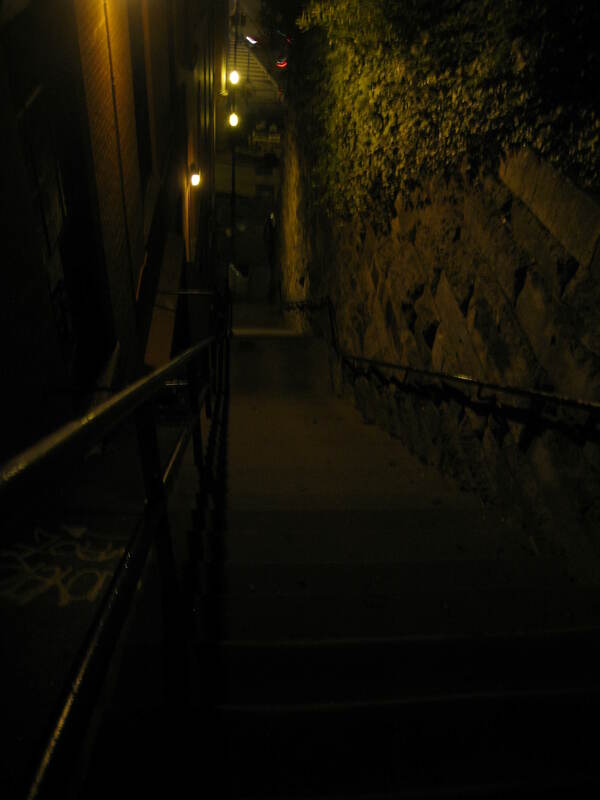 Robby had to see the movie so he could appreciate the famous Exorcist Steps. Then the bad things started happening. It took a few days for me to realize what was going on, but when I made the connection, it began to make sense. I didn’t see him until I reviewed the photos. I was guided to take the shot. I knew that someone was there and I was being told to take the picture. I took a picture of the street – not a point of interest on the tour. 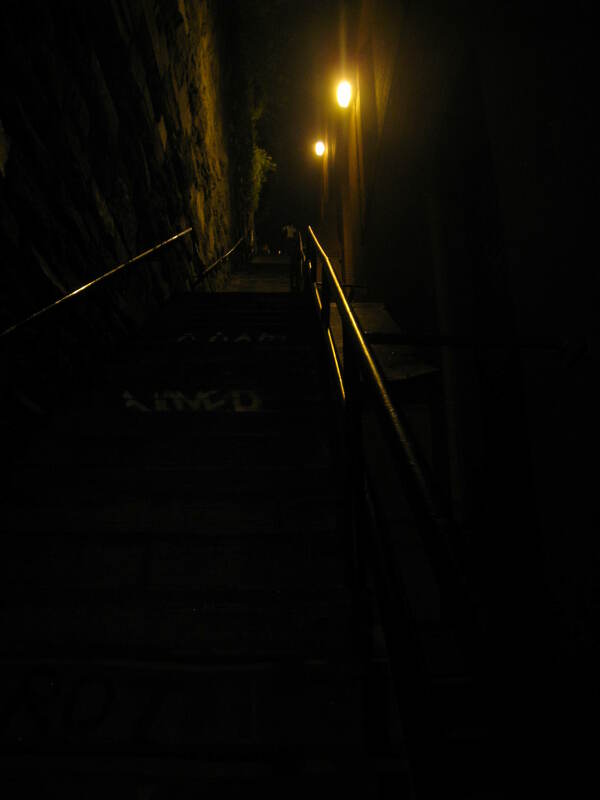 Nothing bad happened after that, despite the visit to the Exorcist Stairs. In fact, there was the threat of rain all night, but we never felt a drop. It had been raining all day and Tony, the tour guide, was convinced that it would rain, but it never did. We were being protected from the Exorcist Curse. This was hauntingly chilling to me. Chandra Levy’s remains were found in Rock Creek Park, near the tour. When Chandra disappeared in 2001, I had a vision of a woman being murdered. It was so real that I was tempted to go to the police. I can still see it clearly today. A woman was being murdered, but she wasn’t killed in Rock Creek Park. She was killed at Gravelly Point Park, or somewhere nearby. It was nighttime and the planes were in the background landing at the Reagan National Airport. Two men committed the murder. One wore a bandana on his head. I had the vision before I knew about Chandra, but when the story came out and I saw her picture, I knew it was her. When Tony was talking about Chandra on the tour, I was being told to take the picture of the street. 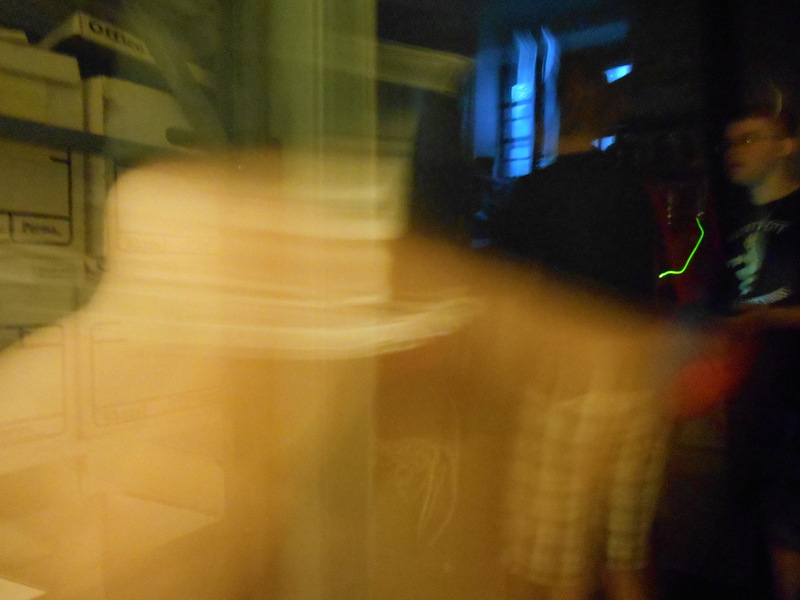 It was the Ghost Priest who showed up in the picture. I don’t know, but I can tell you that there are plenty of Spirits in Georgetown and if you pay attention, they’ll come out to play. There was some spooky good stuff on this tour! Slabs of cement house Earthly remains, but look farther than usual and magic will blow into your soul. Do you hear my footsteps by the Library? Can you hear me fall down the stairs? My shoe may be in another dimension, but my needs carry the weight of society and it is essential that I roar my story to those who will listen. When you visit my tomb remember that I am still a product of all that exists. I know your customs and all that you represent. I am a giant flame flowing in a sea of possibilities. You may have forgotten me, but your success depends upon maintaining a strong connection to loss and your acceptance of Now. Confused? Good! I remain an instrument of the Master Plan. Climb the hills, navigate the ports and acknowledge us! For we are the Spirits of Georgetown. but the Spirits were anxious to communicate with us before the tour even began! We arrived early and enjoyed a leisurely stroll down Main Street followed by a relaxing dinner before the tour. 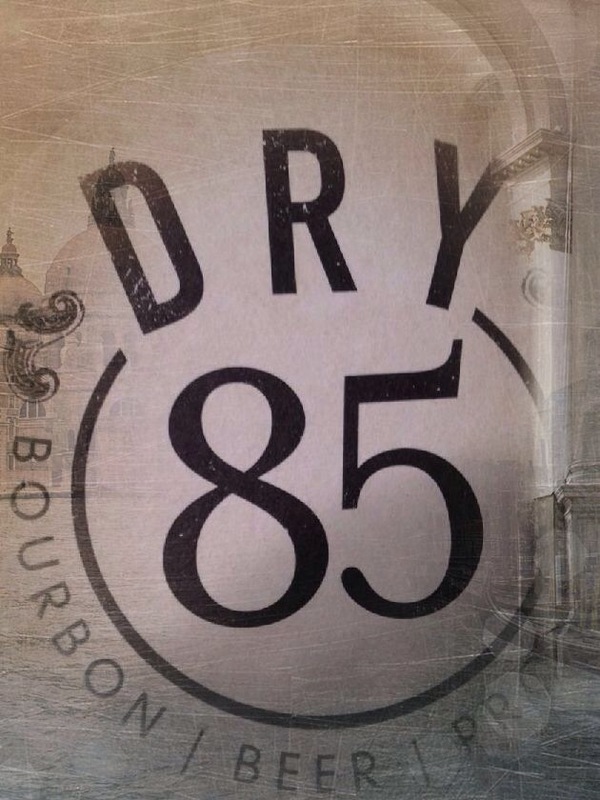 We chose the DRY 85 restaurant at random and after we ordered, I suggested that we get the equipment ready and do a quick battery test. 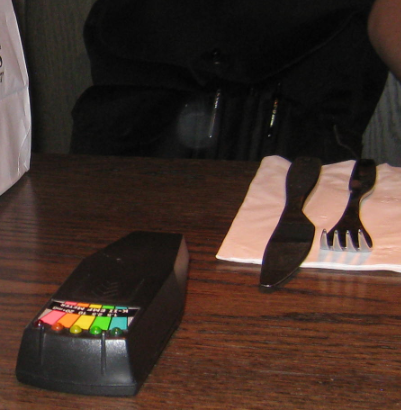 As soon as we set the KII meter on the table, it started going crazy! We’ve never seen it light up like that. There had to be an electrical cause, so we moved the meter all around the booth, going high and low, but the lights stopped whenever we moved it. When we set it in the middle of the table between us, it started going crazy again. The KII lights stopped, and then started again. I began to take this situation a little more seriously. It stopped, then started immediately, just as I asked. but I guarantee that they have one. Or perhaps it was an anxious Spirit who didn’t want to wait to be mentioned on the tour. Either way, it was fun to have contact before the tour began! 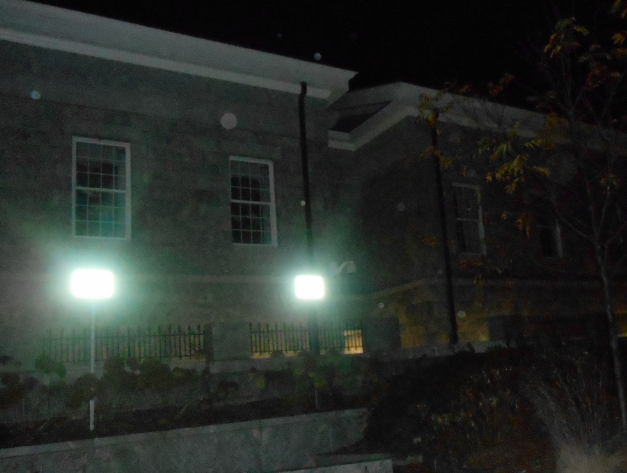 The Most Haunted Building in Annapolis! 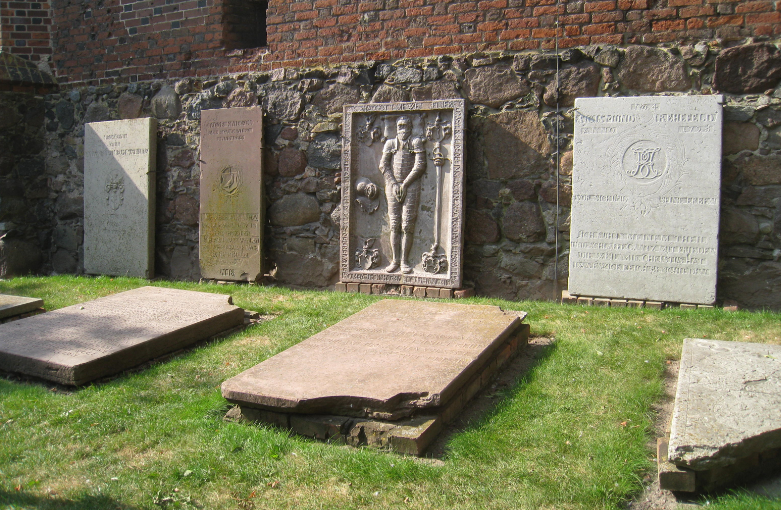 I won’t spoil all of the wonderful ghost stories on the tour, but it was interesting that the first story was about Charles Campbell and his fiancé. Is that great or what? 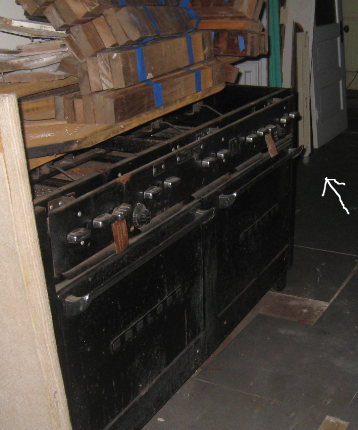 It is interesting to note that the next night, I saw a black shadow figure in my house. It was so real that I insisted someone was there. Of course, there was no one. Coincidence? I don’t believe in them. Those Annapolis ghosts are frisky and I can’t wait to visit them again! 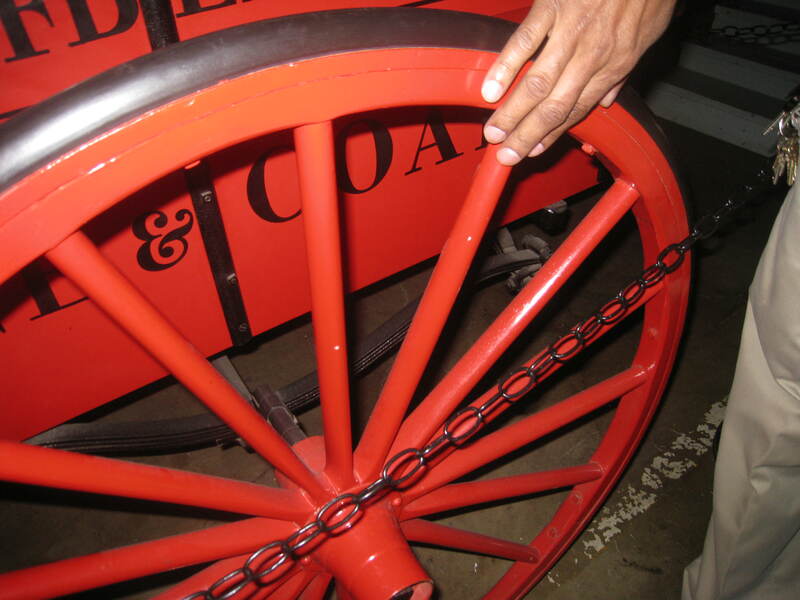 “The wagon tale about old Charles is one of many in a series of ghost stories about our fair town. 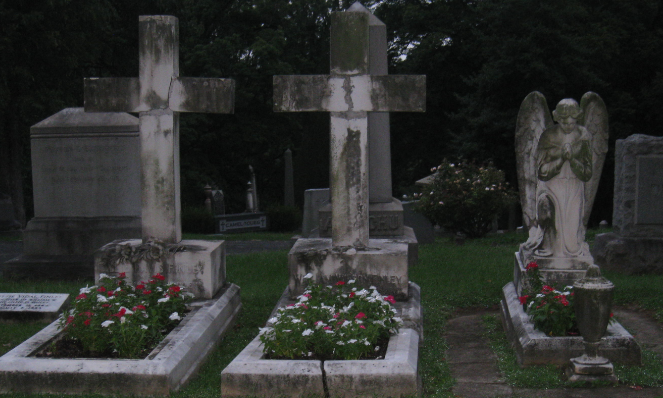 If you plan to visit us, you’d better prove that you have a healthy respect for the dead. For if not, we’ll issue the command to release the Spirit Bear. 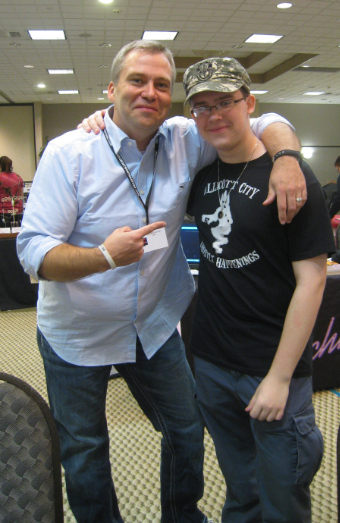 Robby and I had a fantastic time at Phenomacon in Gettysburg, PA.
We met some of our favorite television stars and some pretty phenomenal ghosts on the Gettysburg Battlefield. 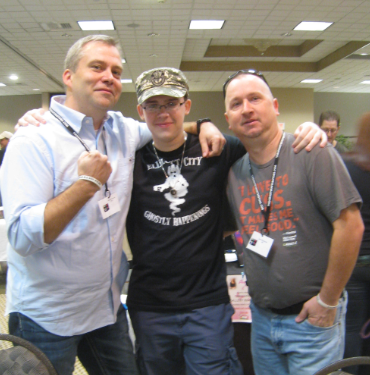 We met the Bama Boys – Jonathan Hodges and Benny Reed, from “Deep South Paranormal”. It was a true pleasure speaking with them and I hope we see more of them soon! 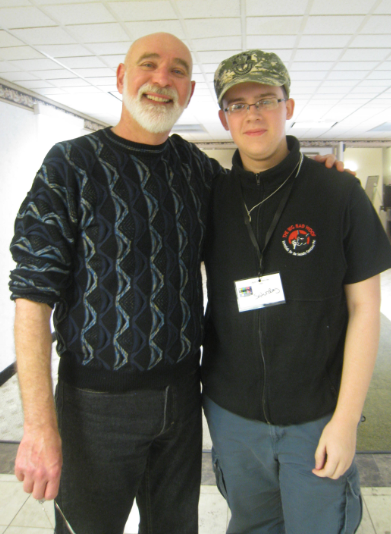 We also met John Zaffis and his son and daughter from the “Haunted Collector”. They were all sweet to talk to and we’ll be keeping an eye out for their future endeavors! 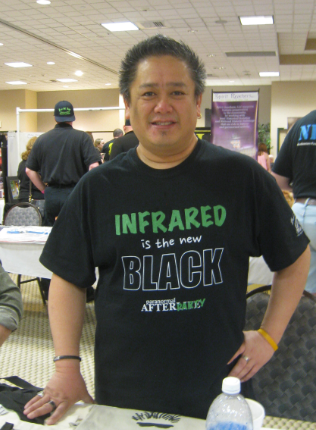 Joe Chin from “Ghost Hunters International” was terribly charming and we look forward to seeing his adorable smile on another show soon! 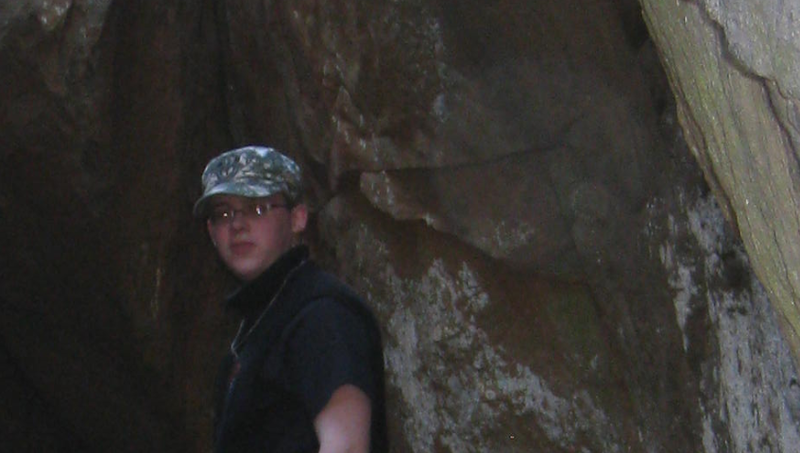 After the convention, Robby and I went to the Gettysburg Battlefield. After performing a thorough tour and familiarizing ourselves with the area, we went to dinner and waited for nightfall. We wanted to return when it was dark and hopefully there would be fewer tourists and more ghosts! We were hoping for total darkness, but the Moon Shadow was so bright that we didn’t even need a flashlight! There were many bugs, which showed up as Orbs, but some Orbs were too bright and too coincidental to be classified as bugs. The view from Little Round Top, as we looked down towards the Devil’s Den, was continually illuminated by the constant flash of cameras. A mock battle raged below in the quest to capture battle-weary Spirits. 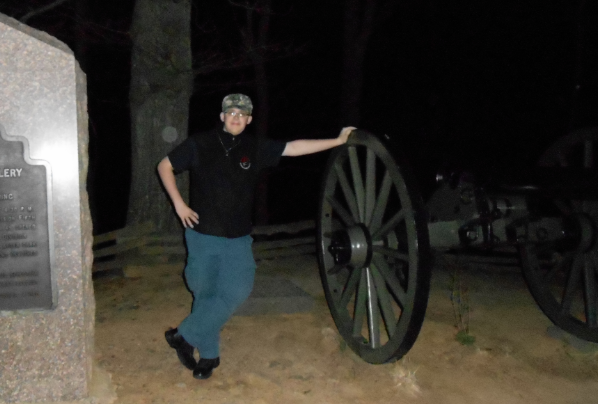 The paranormal convention provided a steady stream of nighttime visitors to the ghostly battlefield! As Robby and I stood on the second floor observational deck of the tower monument, Robby came up with the idea to play some Civil War songs to inspire the Spirits. He played three Union battle hymns, then he found a Confederate song, but it wouldn’t play. So he tried another one, and then another. They wouldn’t play. He tried a Union song again, and it played perfectly. Robby was bringing up the songs on my phone, which had been bewitched all day. My phone is newly updated and was in perfect working condition before attending Phenomacon. I didn’t use my phone all day at the convention, yet the battery drained below 50% and my icons had not only been jumbled around, they were moved to other pages! Robby was using my phone that night as he pulled up the battle hymns. Little Round Top was a Union fortification and was never overtaken by the Confederates. Apparently, not even a Confederate song was allowed, even now. Finally, it is worth noting that there was so much to take in at the convention and touring the battlefield, that I only used the Ghost Radar once all day. Robby was conversing with two Generals, so I relaxed and passed the time by activating the Ghost Radar. The first words were: Henry Wilson Battle and Cost. 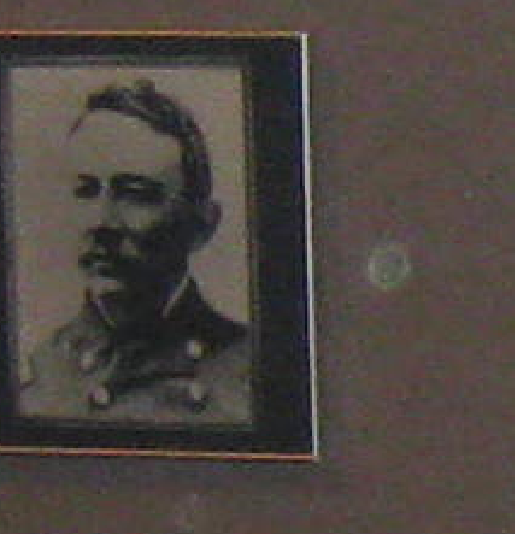 Henry Wilson was Vice-President under Ulysses Grant and he organized the 22nd Massachusetts infantry. They were known as “Henry Wilson’s Regiment”. Their worst casualties took place at the Battle of Gettysburg. 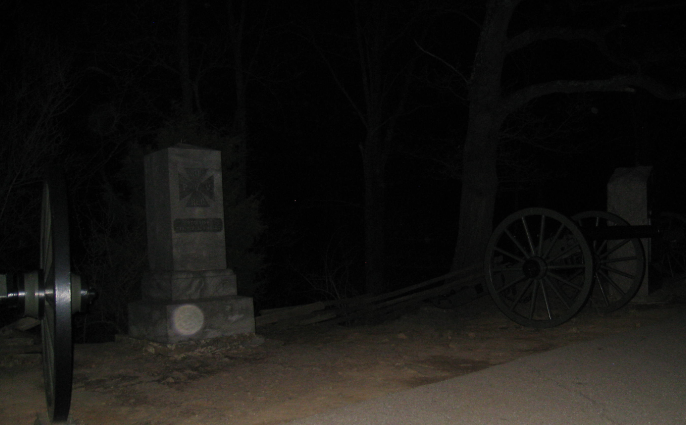 At the time that I had the Ghost Radar on, I was near the regimental monument of the 22nd Massachusetts on Sickles Road on the Gettysburg Battlefield. We had a rare treat when we took a mini-vacation to Virginia Beach. We arrived the day after a foot of snow had blanketed the city. 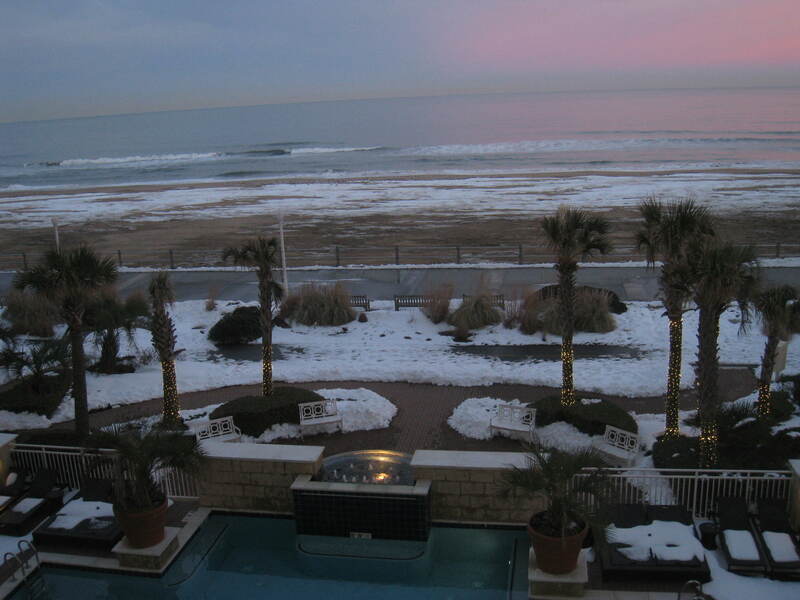 Our three days were perfect as we were blessed with sunshine, mild temperatures and Sneach – Snow at the Beach. 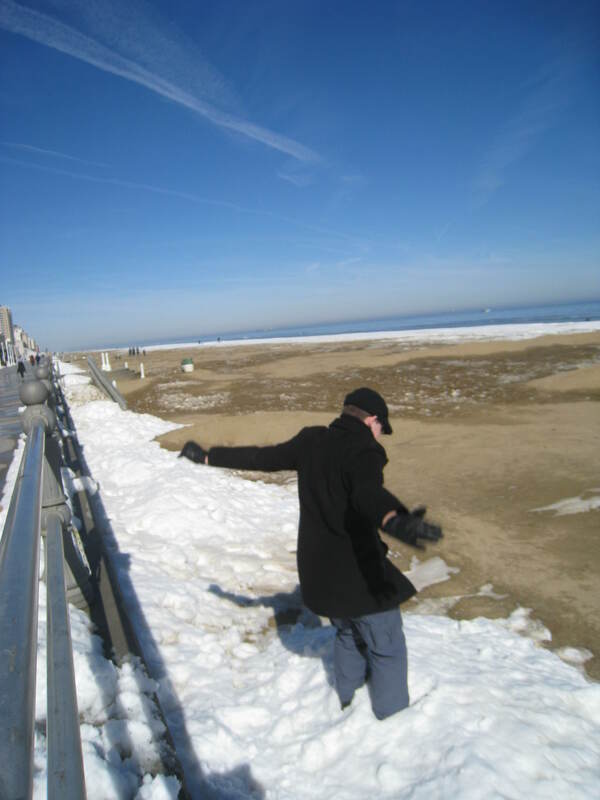 As Rob and I were chasing dolphins along the shoreline, Rob became tongue-tied trying to describe the snow, sand and beach. He blurted out, “Sneach”, which I think described it perfectly. Besides Sneach, there were plenty of Spirits to be found at Virginia Beach. 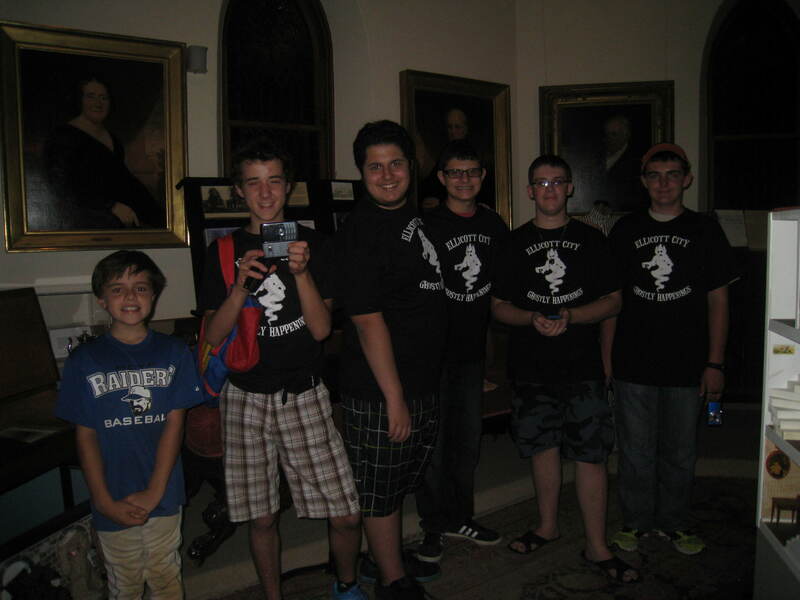 During our short stay we were able to take time out to do some Ghost Hunting (disguised as tourists) . Rob jumps into the Sneach! Prior to our visit, I read Haunted Virginia Beach by Alpheus J. Chewning. 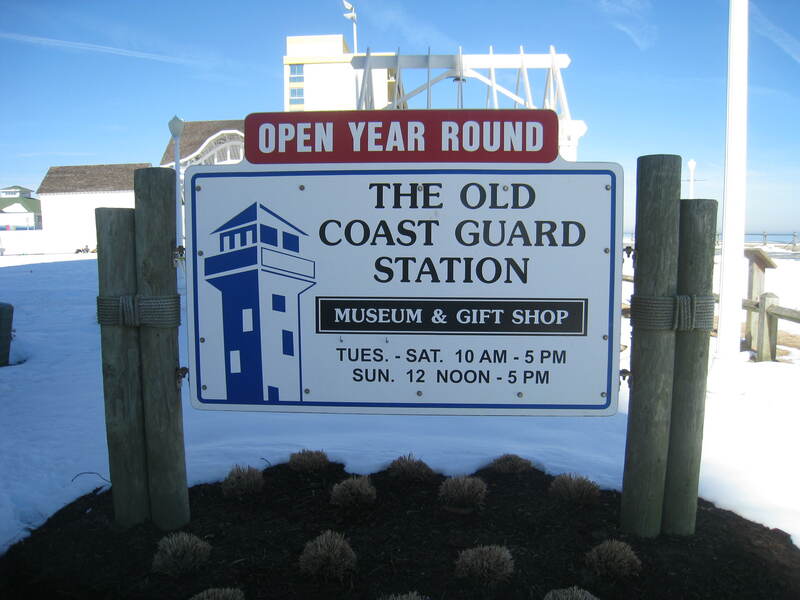 There is a chapter about the ghosts at the Old Coast Guard Museum. I asked the ladies working at the museum that day, Ruth and Marilin, if they had any experiences with ghosts in the museum and they had indeed. There were many tales, such as a man’s voice when no one was around. 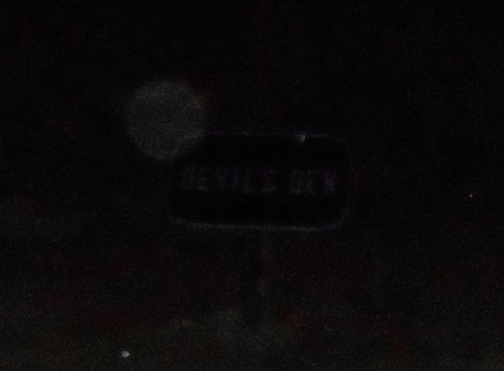 This was the most active place that we toured, as far as photographic evidence. 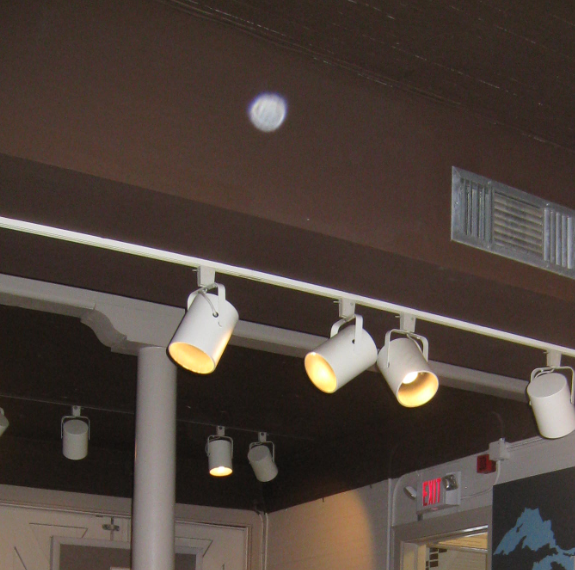 On our short day-time tour, I was able to capture many Orbs, and one Orb was particularly bright. 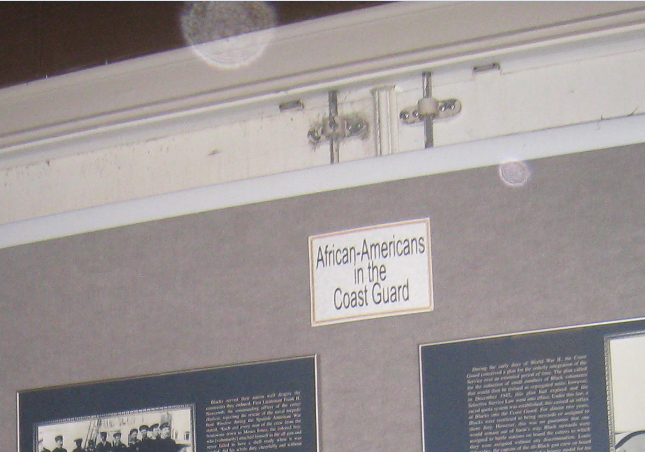 The majority of the Orbs were at the entrance of the Museum, near the African-American wall of pictures. Each photo below is a different shot. 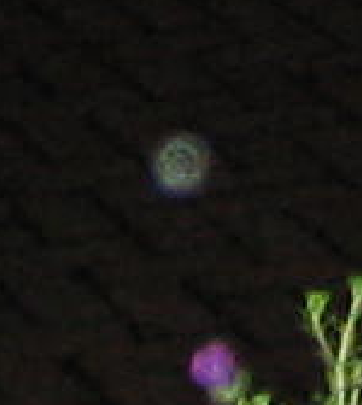 There are multiple Orbs, and one especially bright Orb. When I was taking the photos, I was drawn to the rocking chair. 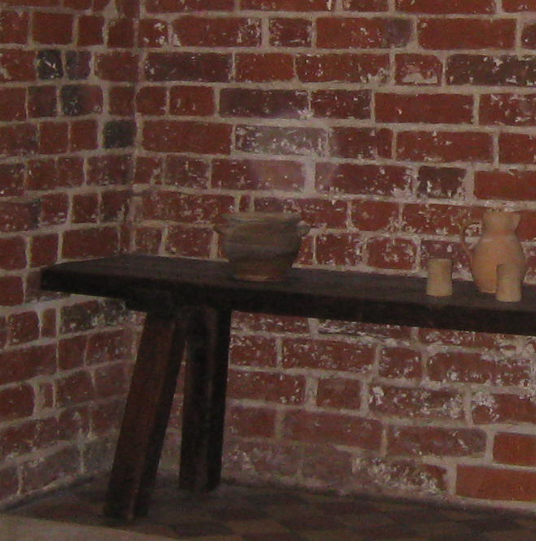 In the photo, there is an Orb next to the cannon, to the right of the rocking chair. 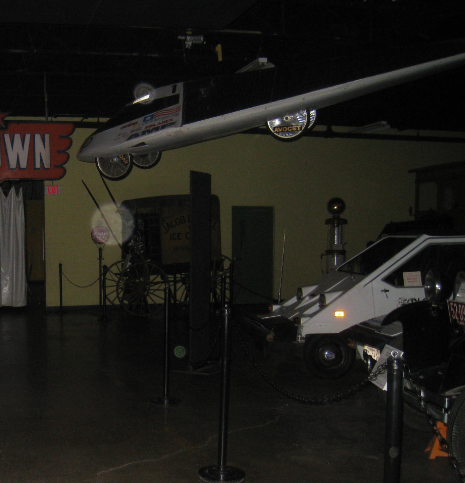 I would love to go back and explore the museum at night without all the noise and distractions, but I was pleased that the Spirits made themselves known through the photos. They were also active on the Ghost Radar. This one was interesting because I couldn’t find a ghost story about this lighthouse, but there are many ghost stories in the surrounding area. I was anxious to see if we could find anything. The ladies at the gift shop said there were no ghost stories about the lighthouse. I got two things. 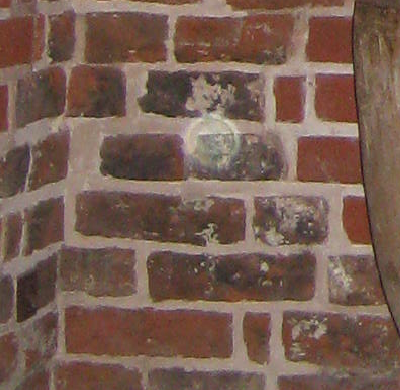 One was a picture of an Orb above Rob’s right shoulder as he was going down the Lighthouse stairs. This was significant because it was day-time and there were many other tourists with us in the tight spaces. We didn’t have the time or space to do a lengthy investigation. 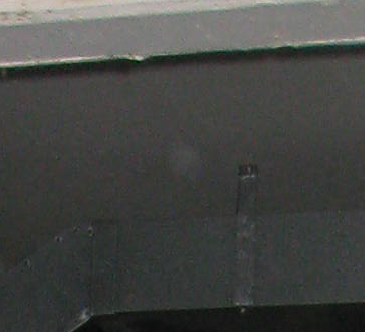 Orb above Rob’s right shoulder as he climbs down the stairs of the lighthouse. The second thing was more of a feeling that I had when we went to a park near the Lighthouse. Located on the base at Fort Story, there is a park with a statue of Francois Joseph Paul de Grasse. We had left the lighthouse and were exploring a bit, when we saw the park and a pier overlooking the beautiful shoreline. We enjoyed the view from the pier, Rob blew his new fog horn that we bought at the Lighthouse gift shop, but all the while I kept feeling drawn to the park area below and behind us. I had seen the statue, but only the back of it from the pier. There was too much snow to explore the park, but as I was returning to the car, I felt compelled to enter the park area to see the name on the statue. Despite the snow barrier and a lack of boots, Rob and I checked it out. Prior to looking at the plaque on the statue, I kept feeling that there was fighting going on. I took pictures of the park thinking that there was a war and that a great battle was being fought. I could picture the scene of cannons being fired and I could hear the screams of wounded soldiers. The entire time that we were on the pier admiring the beauty of the ocean, I was drawn to the field behind me, almost as if I could hear the raging battle. 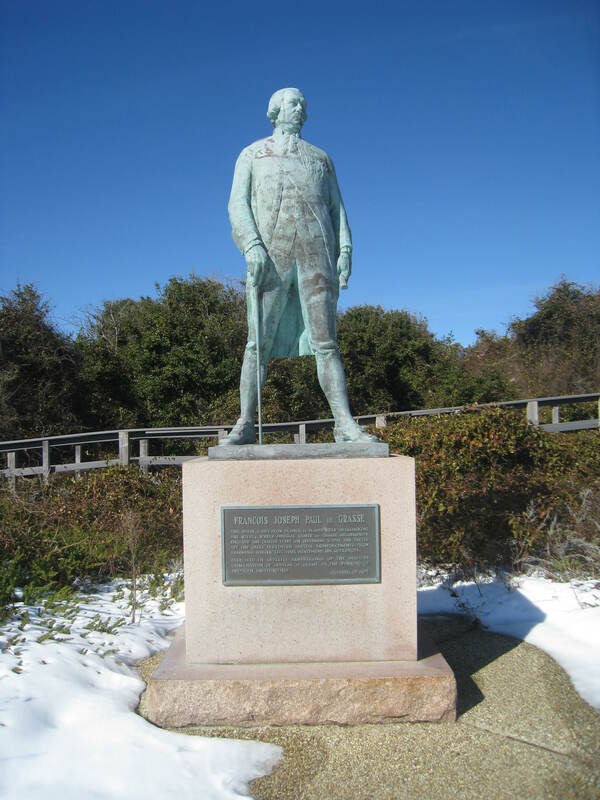 “This statue, a gift from France, is placed here overlooking the waters where Admiral Compte de Grasse successfully engaged the British fleet on September 5, 1781. The “Battle of the Capes” prevented crucial reinforcements from reaching Cornwallis, thus hastening his surrender. Remember, I had never been to Fort Story before and there were no ghost tales about it during my brief research prior to the trip. I could feel the battle, but I didn’t know anything about it, until I read the plaque. I feel certain that we heard from Admiral de Grasse. My findings are that there are Spirits that visit the Lighthouse and there is a battle still being fought that can be viewed from the Lighthouse. 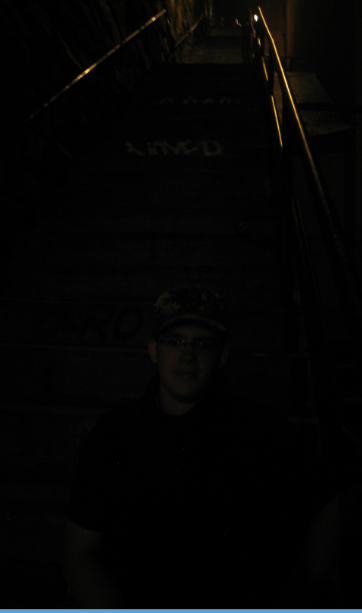 This was by far the busiest place that we toured, so it was difficult to be alone and do a proper Ghost Hunt, but I did get another picture of an Orb above Rob while he sat in a command chair on the ship. 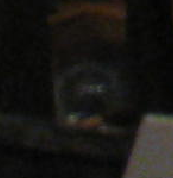 Like the picture of the Orb above Rob in the Lighthouse, I think this is a Spirit that protects Rob, so it might not be a Spirit that hangs out on the ship, but it’s hard to say. Unfortunately, this well-known haunted hotel was not open so we couldn’t explore inside, but we did walk around outside and we peeked in a few widows. 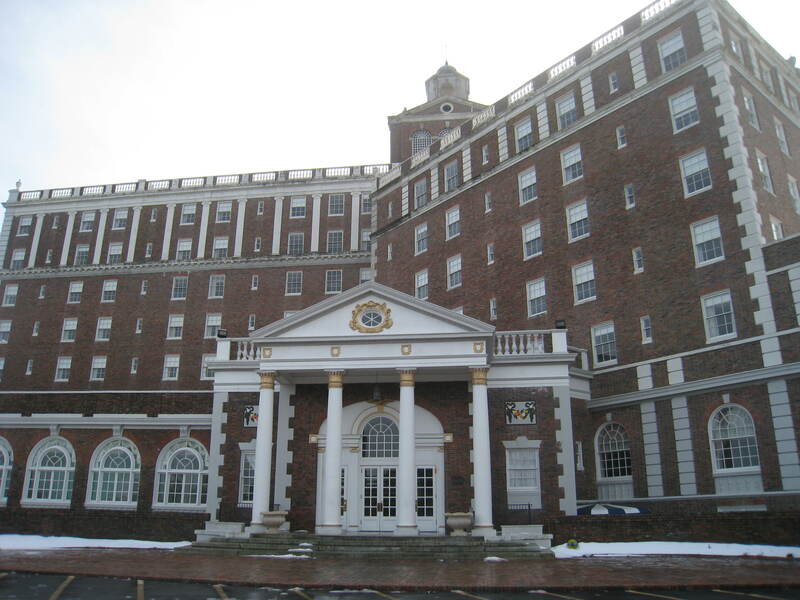 One of the most famous ghosts to haunt this grand hotel is Adolph Coors, who founded the famous brewery. He was found dead on the grounds outside of his 6th floor room on June 5, 1929 and he is seen at the hotel, along with other previous guests. This would be another fabulous place to explore at night. 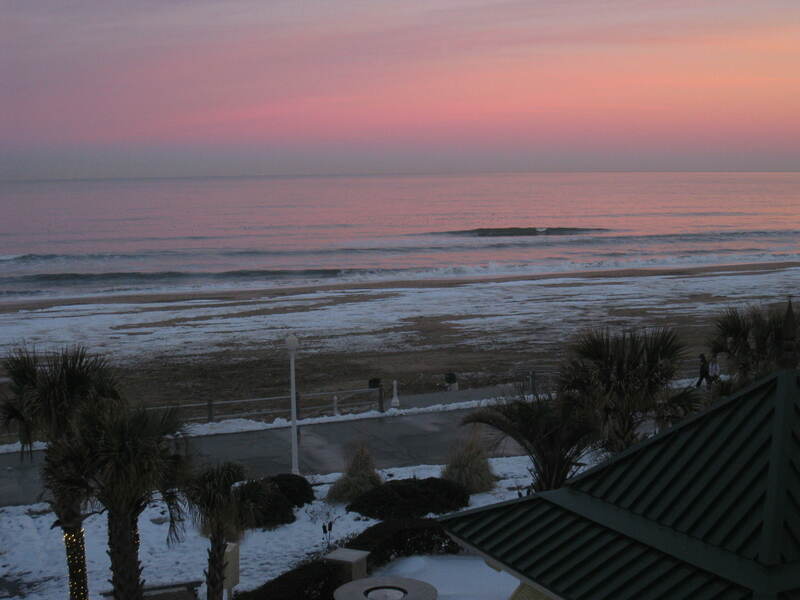 This was only my second time at Virginia Beach. 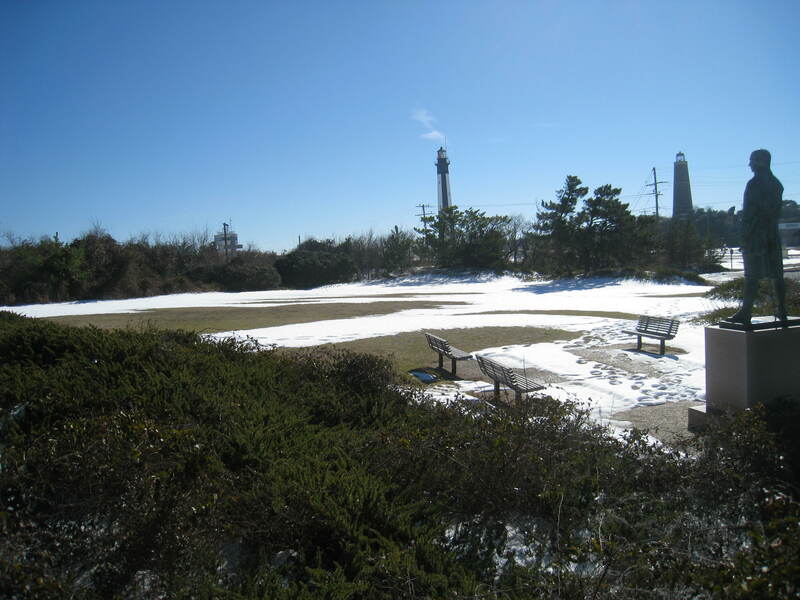 The first visit was a few years ago in the summer and it was beautiful, but I loved this trip because I’ve never seen snow at the beach and the place was deserted. It was the perfect peaceful get-away. 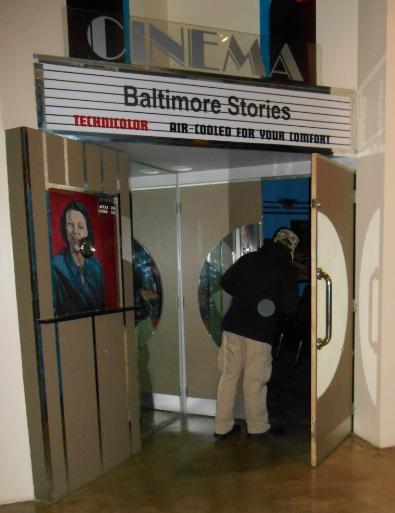 Robby and I went on a Professional Ghost Hunt at the Baltimore Museum of Industry (BMI). 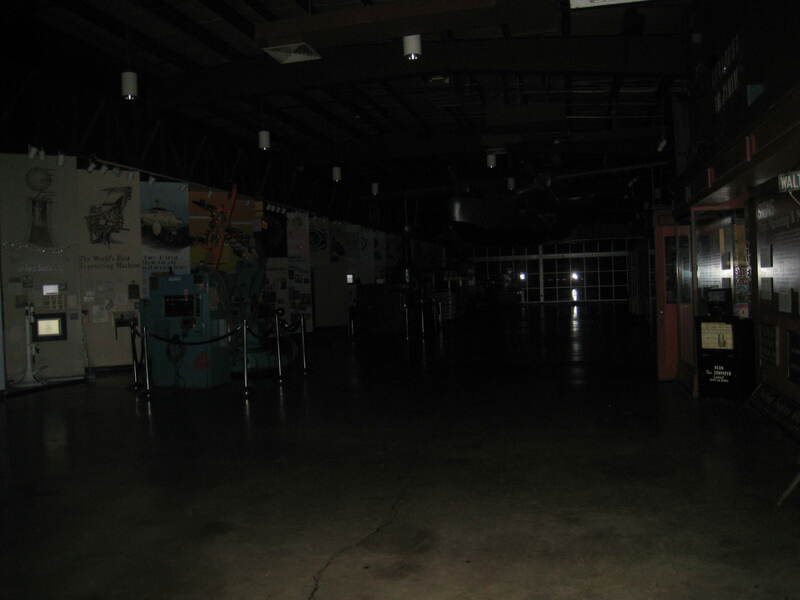 It was Halloween Eve, it was nighttime and it was lights out in the Museum for the entire event. 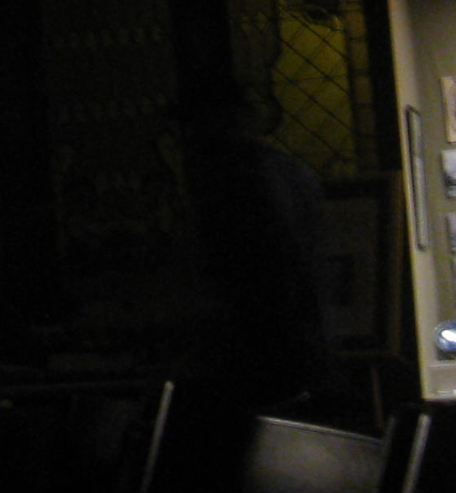 Robby peeks into the Museum theatre and a Ghostly Orb is right behind him peeking in too! 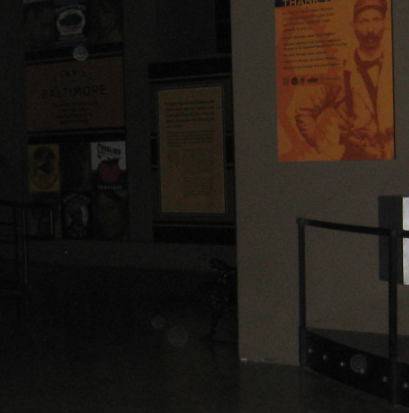 in the dark…by myself…in the Museum! 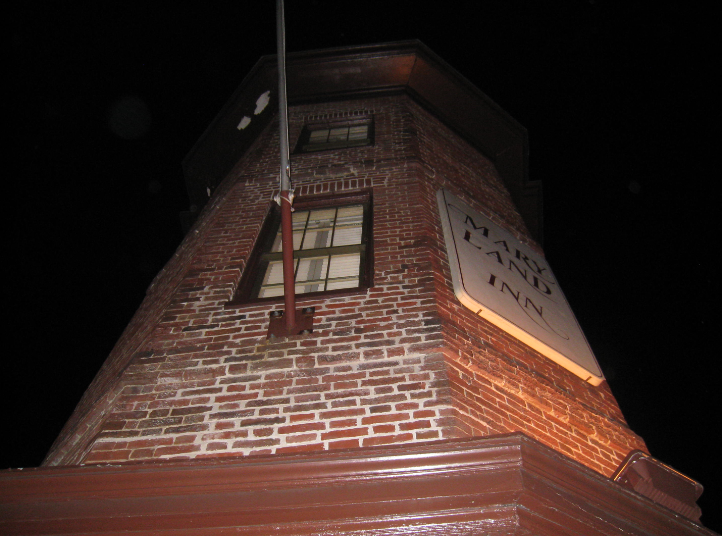 The Ghostly Gathering event was run by the paranormal group, PRISMd. We were given a brief history of a few tragic deaths at the BMI, then we set off to hunt some Ghosts. We were on a break and I wandered off to take a few pictures away from the group. 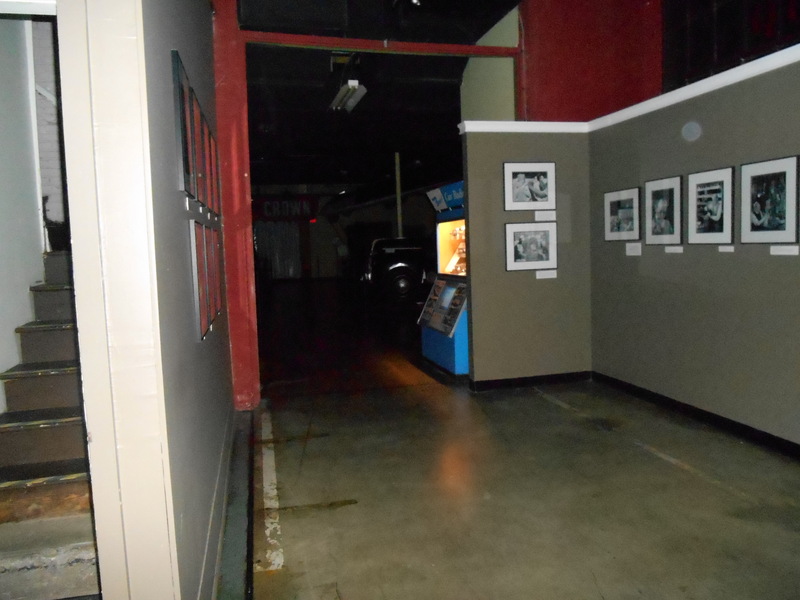 When the flash goes off in the dark, it blinds anyone nearby, so I took a few pictures of the main hall with no one around. One of the museum employees in charge that night, Stan, found me and I told him that I was just taking a few pictures, but there were also some other people further down in the hall and I pointed out to him where they were, behind the blue machine. He gave me a strange look, then he said that the monitors sometimes come on by themselves, so he went to check. He came back and said that none of the monitors were on and no one else was in the hall. Apparently, I confirmed one of the Ghost stories of hearing women talk in that area. I didn’t know about it until Stan told me. He also said that even though none of the monitors were on, there are all male voices on the videos. I only heard female voices. I thought it was members of our group, but he said no one was there. Later, when we were in the main hall with the group, one of the monitors suddenly came on by itself. By far, the most exciting experience that night was when I found myself alone in the main hall, quite by accident! 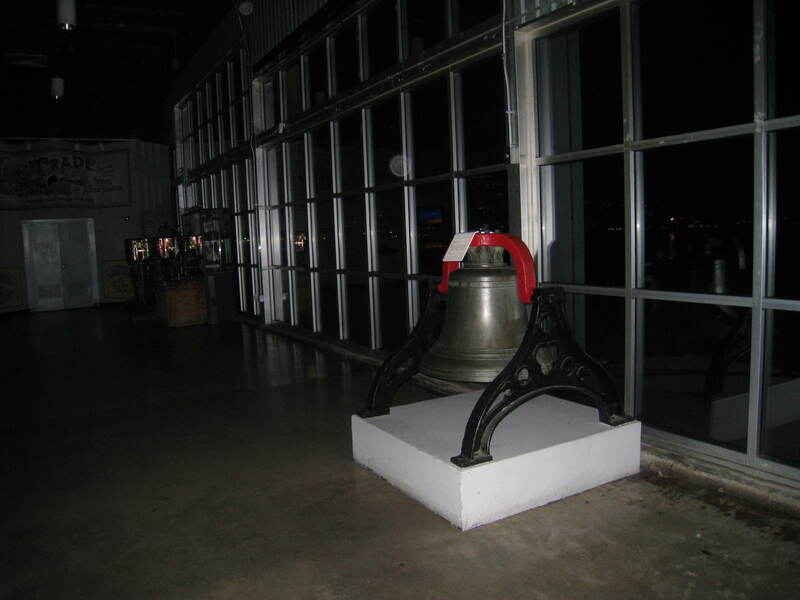 Everyone was outside near the docks investigating the haunted tug boat and enjoying the view of the harbor. It was a beautiful night, but it was a bit chilly so when Stan said that he was going inside for a jacket, the others said they were moving on to the Copula. I didn’t know where the Copula was, so I followed Stan into the main hall thinking that everyone else was right behind me. And then I heard a faint whistling. 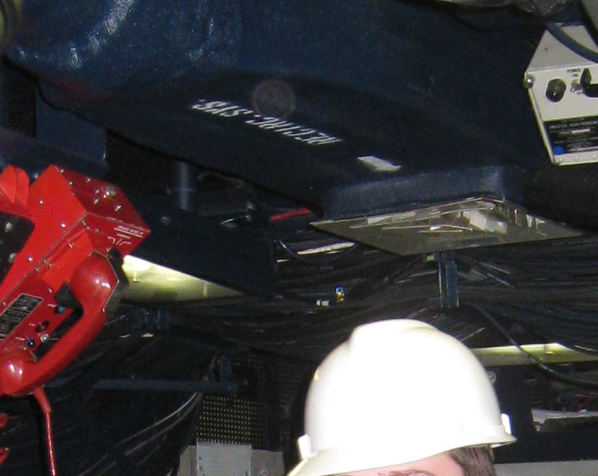 Robby often times whistles at the Ghosts when we’re doing investigations, so I thought it was him. 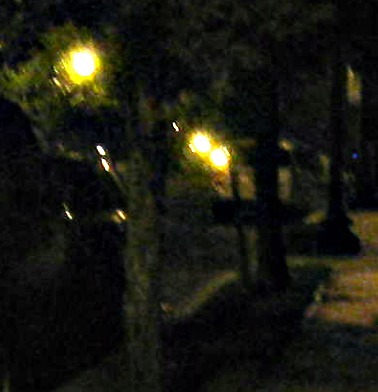 As I looked in the direction of the whistling, I heard footsteps, so I moved towards them, but I found no one. 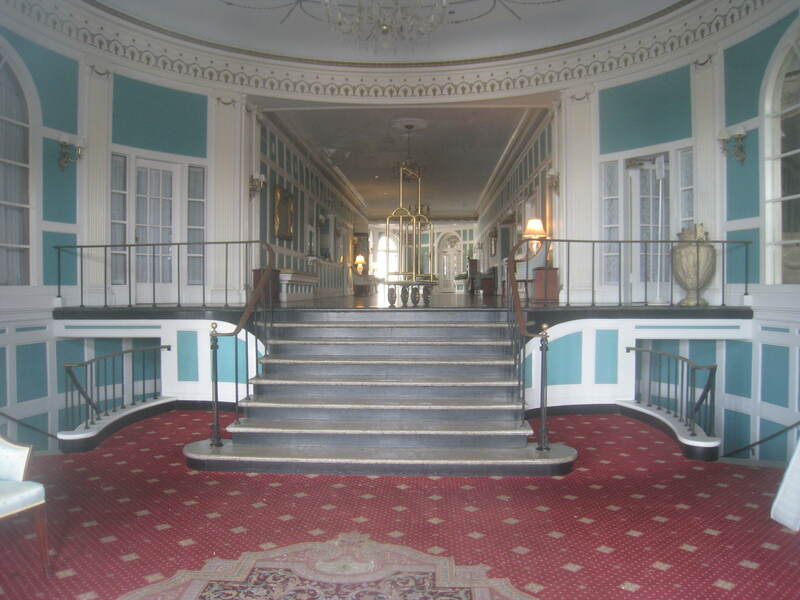 I was completely alone in the main hall…with the Ghosts! I thought to myself, “Cool!” and I took more pictures. 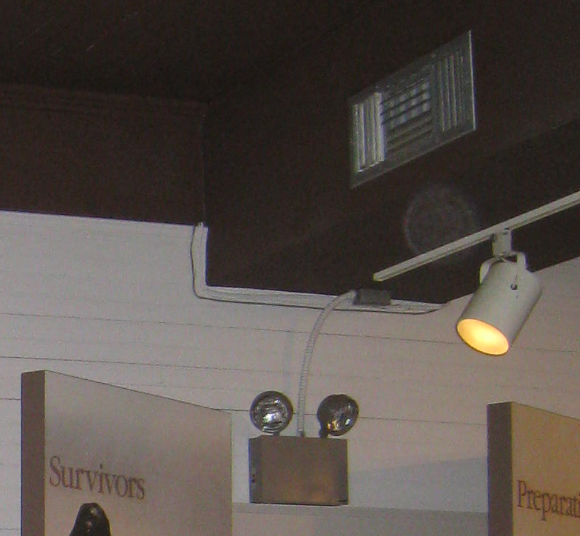 Of course, no one had told me about any whistling stories, but now I had confirmed another Ghost story about the Museum. 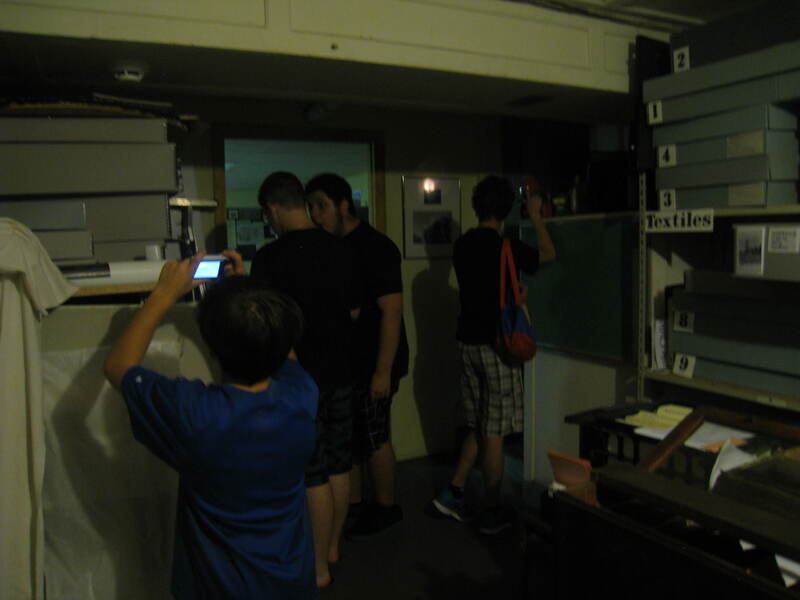 We were with the group doing an investigation in the printing room. 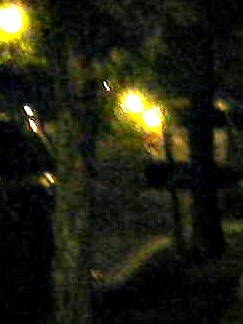 Someone asked a Ghost to make a noise or move something and one of the lights overhead started swinging. The other lights didn’t move. When the single light stopped swinging, we asked if they’d do it again, and a different light started swinging. There are many reports of activity at the printing table, which is right where the lights were swinging. I took quite a few pictures near the door that leads to the second floor offices. 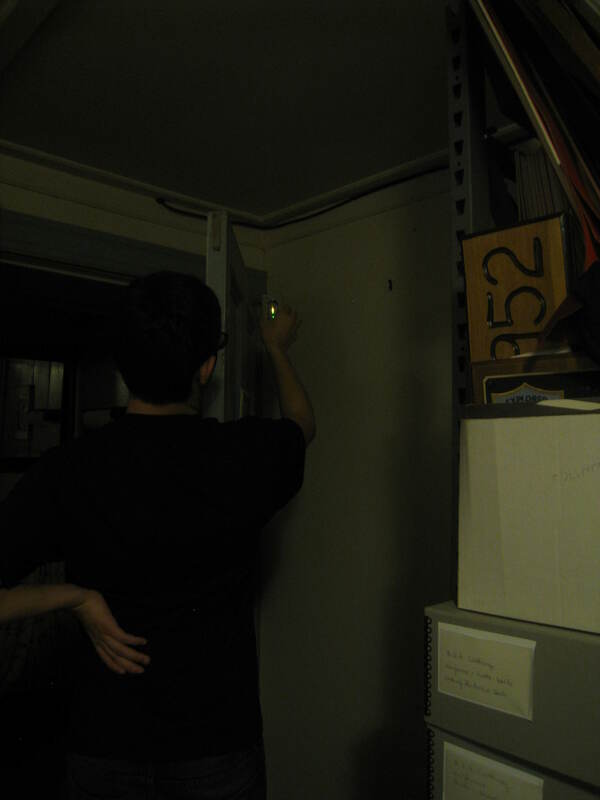 We investigated on the second floor and we were told about the many stories of Ghostly activity in the offices. 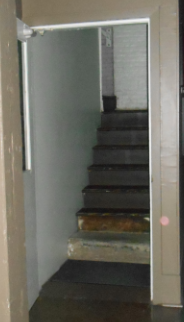 Several times when I was taking pictures, I kept seeing a dark shadow on the stairs out of the corner of my eye, but when I looked, nothing was there and no one was upstairs at the time. 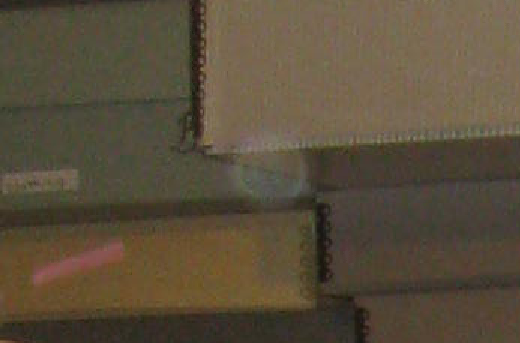 There were many Orbs in this area and in one picture, there is a bright Orb on the doorframe. 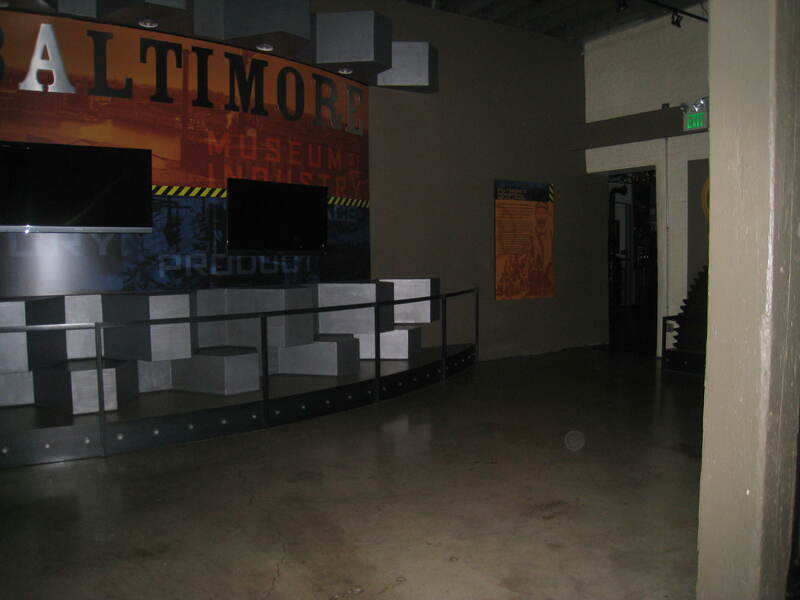 The Baltimore Museum of Industry investigation was a lot of fun and I can’t wait to do it again. Stan was a wealth of information and I enjoyed his stories about the museum. It was a great experience to work with PRISMd and I hope that Robby and I can do another investigation with them soon! Peek-A-Boo! I’m right behind you! The big day finally arrived! 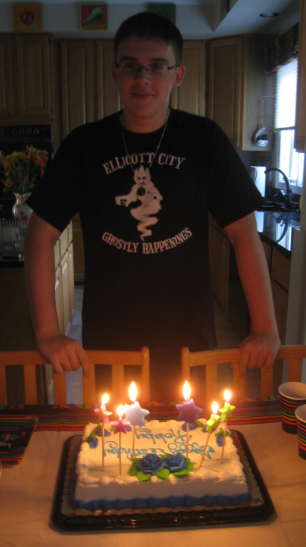 Robby and his friends wore “Ellicott City Ghostly Happenings” T-shirts that I designed for the party. 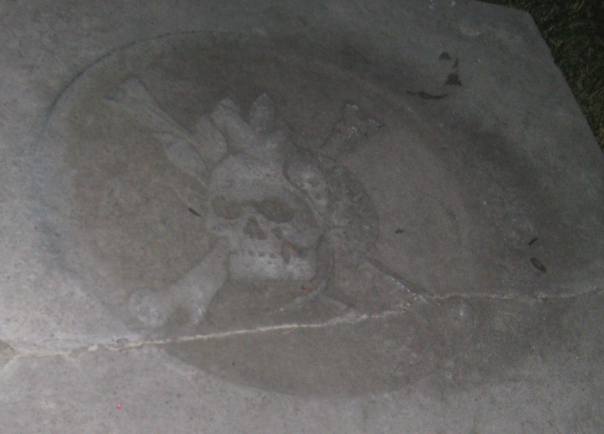 Do you recognize the Goblin from the Ellicott Family Cemetery? I love that Crabby Guy! 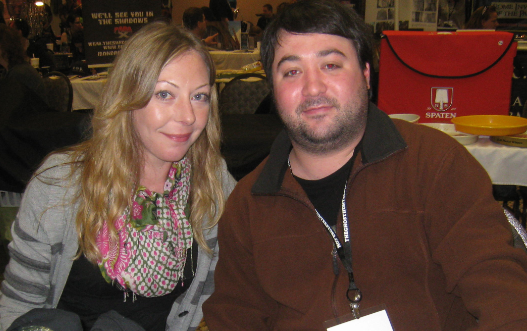 Besides Robby and his four friends, we had two guest Ghost Hunters. The Director of the Museum, Shawn Gladden, brought his sons and they were amazing! 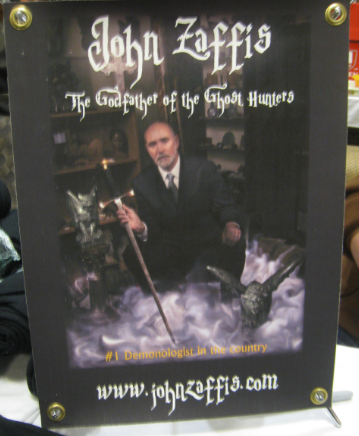 All of the Ghost Hunters performed their tasks so expertly that I was blow away. We were allowed to investigate the basement of the museum and what a find! 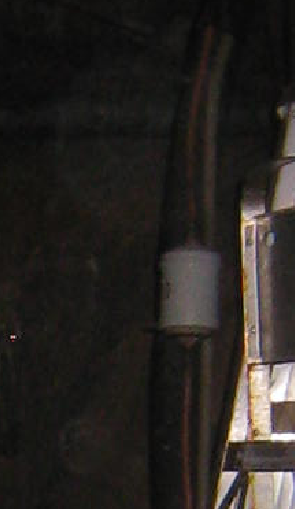 The basement was a hot-spot for Spirits and the EMF meter was particularly active around an old stove. Perhaps one of the Spirits used to be a chef or maybe a cook? 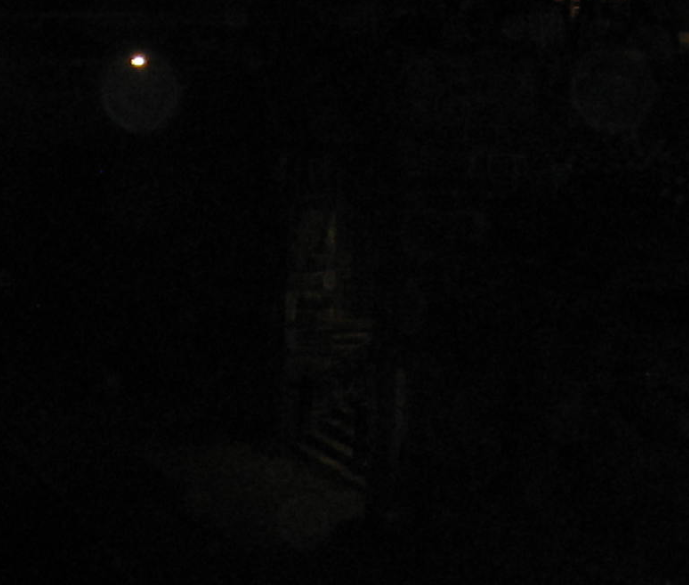 We got a total of eight Orbs in the basement! Ordinarily, Robby and I would have returned to see if the apparition could be explained, but since we couldn’t this time, we’ll have to leave this Spirit as a mystery. 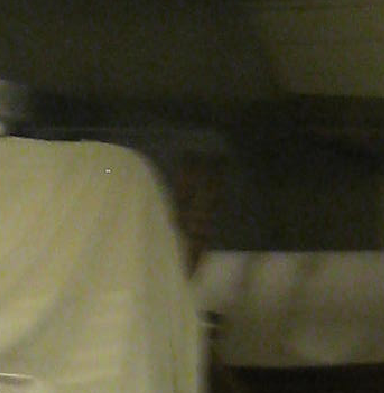 We did get EMF spikes in the area of the basement where this Spooky Spirit appeared in the photo. 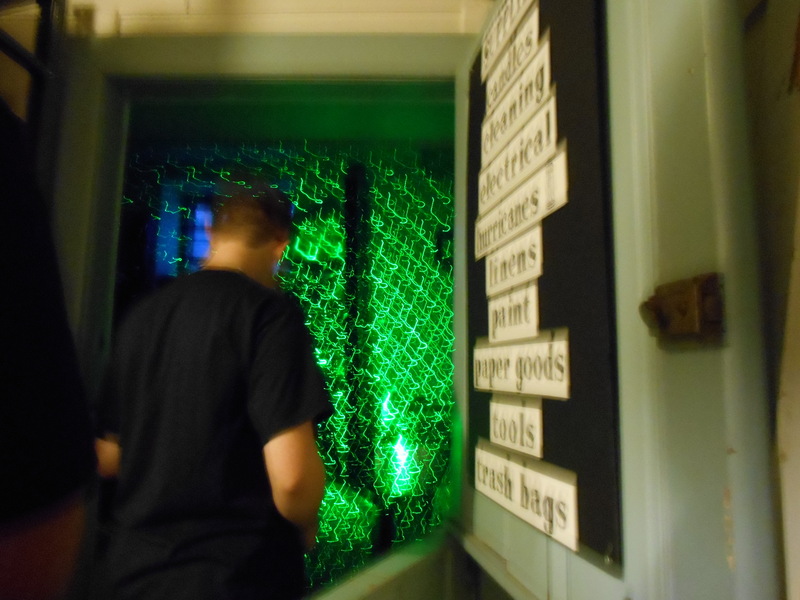 …where we captured a Shadow Figure! 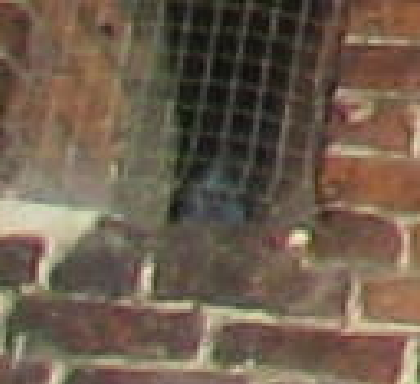 I reviewed the photos and I checked with everyone to see if the figure was one of the others, or if they recognized the figure, but as we zoomed in, we realized that there wasn’t a body! He was also standing near the gun case. During the entire investigation, the Ghost Radar was talking up a storm. This was a much longer investigation than usual so I will feature the photos, instead of writing a story from the Ghost Radar. 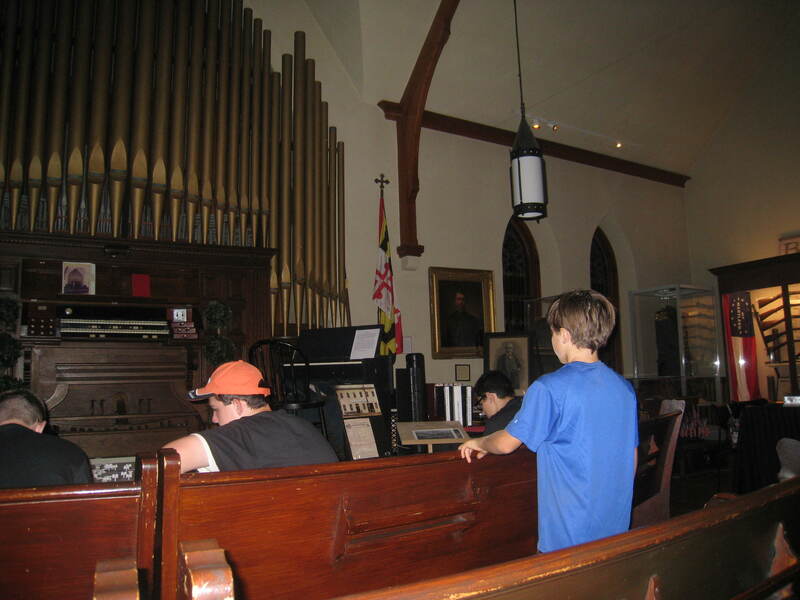 I believe that the Paranormal Investigation Birthday Party was a huge success and I am extremely grateful to the Howard County Historical Society Museum and Shawn Gladden, Karen Griffith and Mary Schwanz for allowing us to have the privilege of communing with the Spirits of the Museum. 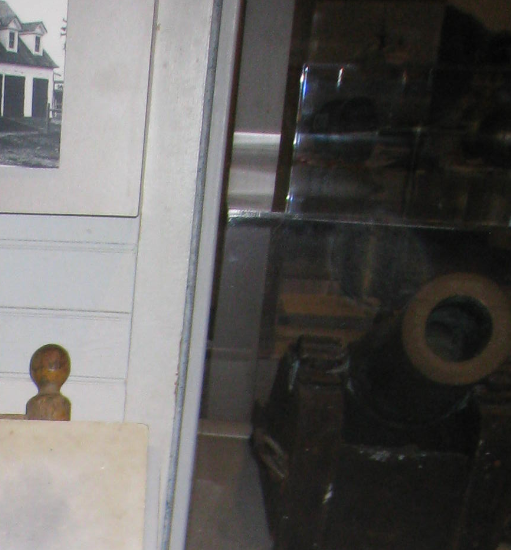 I believe that the Museum is haunted and that the Spirits may be attached to some of the objects in the Museum. And of course we had cake for the Birthday Boy! …was it just a blur??? ?